Heart-stopping beautiful Bloodstone! 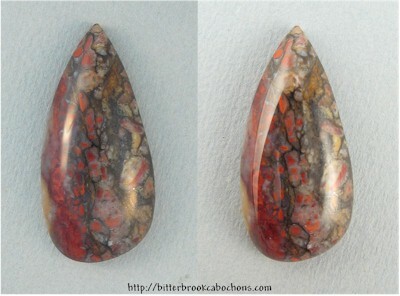 Chatoyant "blood spots" run all down the left side of this neat designer cabochon. 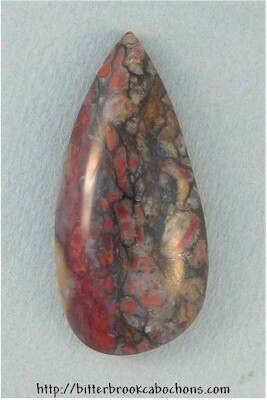 Too bad you can't buy it because Gloria at Wire Treasures is going to transform this cab into pendant. 40mm x 19mm x 8mm. Weight: 42.55 carats.